Other studies we’ve discussed here have investigated long solar cycles on the 11 year or 200 year scales. But here, the researchers are thinking of day to day weather, and looking for a solar influence on timeframe that might improve weather forecasting. Obviously there is a long way to go. As for mechanisms they suspect that it’s the solar wind that is influential, but they don’t know, when sun spots peak there’s also an increase in ultraviolet rays and decrease in energetic particles. In a paper last year they found the 27 day cycle in modern Japanese records from 1989-2015. Now they have found it in much older and longer records. The Sun affects Earth in so many ways, through magnetic and electric fields, charged particles at Mach 2000, and wild swings in UV radiation. 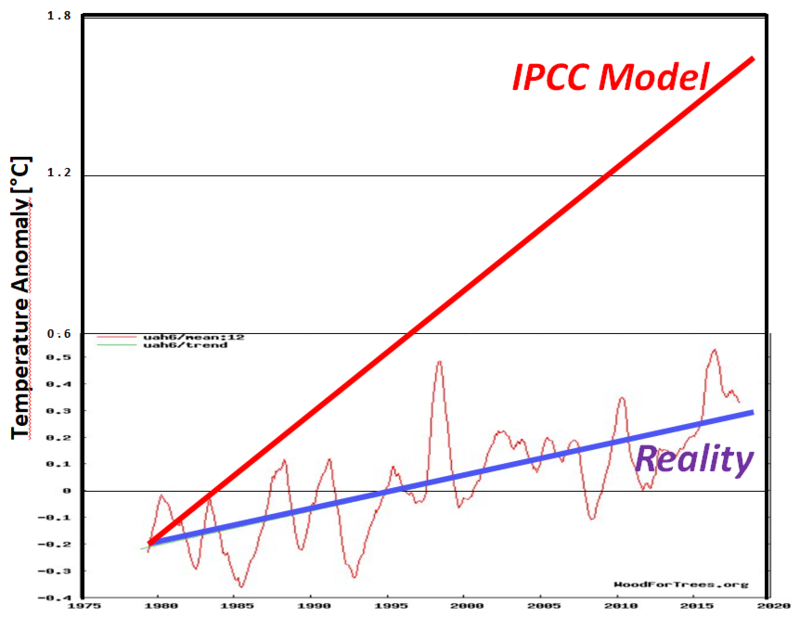 Climate models treat it as if it were just a ball of light. Imagine if we had spent $100 billion looking at solar influences on the climate. We might have models that worked…. Diary entries dating back to the 1700s could help scientists understand the link between lightning activity on Earth, and the rotational cycle of the sun. Researchers in Japan have turned to detailed logs kept by farm families and government officials hundreds of years ago, looking for mentions of thunder and lightning events. 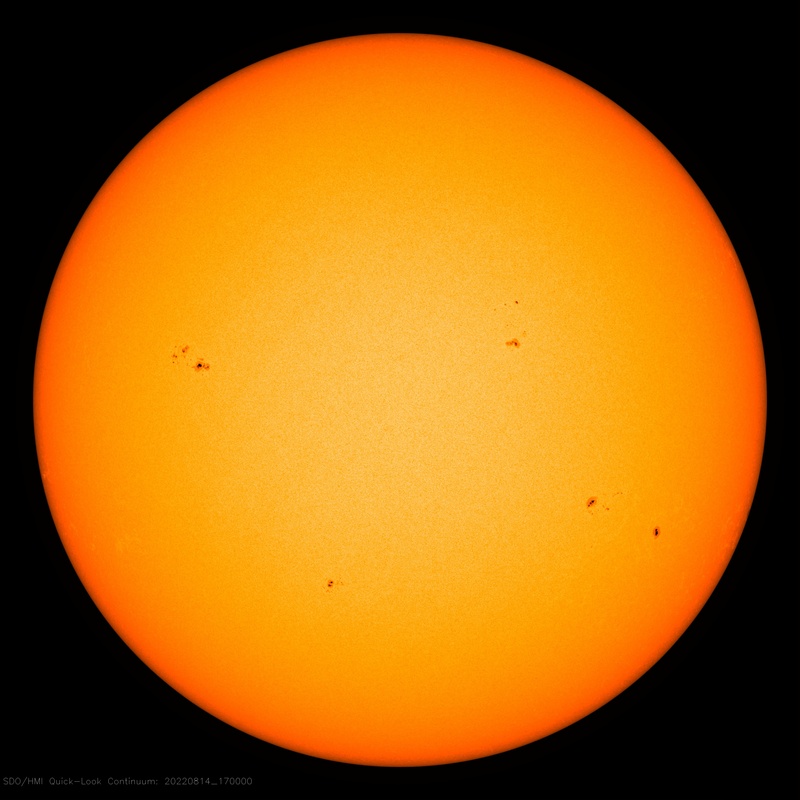 The study shows this activity lined up with the time it takes sunspots to make a complete rotation, suggesting the cycle plays a ‘very important role,’ in daily weather. According to the team, this is the same window for a sunspot rotation, and was seen to be especially strong in years with a high number of sunspots. Thunderstorm activity sometimes shows a period of approximately 27 days, which is comparable to the solar rotational period. The 27-day period has been detected in thunder and lightning activity, for example, in the records in England for AD 2000–2005 (Scott et al., 2014) and AD 2000–2007 (Owens et al., 2015) and in Japan for AD 1991–1992 and AD 1999–2001 (Muraki et al., 2004). A relatively longer record of thunder and lightning activity since AD 1989 in Japan has also shown a signal of solar rotational period near the maxima of the solar decadal cycle (Miyahara et al., 2017a). It has also been suggested that cloud activities in tropical areas had a similar periodicity at the solar cycle maxima during the period of AD 1980–2003 (Takahashi et al., 2010; Hong et al., 2011); this may also be related to the solar rotation. The amplitudes of the Schumann resonance, which are excited by lightning activity, also exhibit a solar rotational period. The mechanisms for a solar influence on the climate and weather are not certain; however, possible explanations are given based on the forcing of solar radiation (Foukal, 2004, 2006; Hood, 1986; Shindell, 1999; Kodera and Kuroda, 2002; Zhou and Tung, 2013), galactic cosmic rays (Svensmark and Friis-Christensen, 1997; Marsh and Svensmark, 2000; Yamaguchi et al., 2010; Svensmark et al., 2016), solar energetic particles (Jackman et al., 2009; Scott et al., 2014), and from the changes in the atmospheric electric circuit (Tinsley, 1996; Owens et al., 2015). The variations of solar-related parameters associated with solar rotations are quasi-periodic. For example, solar radiative outputs vary in time with a period of 24–31 days due to the migration of sunspots and faculae on the solar surface. Due to the occurrence of coronal mass ejections or the passage of co-rotating interaction regions on Earth, the flux of galactic cosmic rays shows an anomaly of a few days every 26–31 days. Give that these are daily weather records from so long ago, it is impressive they can find any pattern. Modern records electronically record thunderclaps so these older records will not have anything like that rigor. (c) Periodicity of lightning during solar maxima. (d) Same but for solar minima. Again from the 2017 paper. Both papers are freely available. Interesring…. And the moon’s period of 29.5 days makes it more interesting. Dont forget the “Notch Theory”, how that coming along? Another possibility to consider is that they might be detecting the 27.3 day Sidereal Period of the Moon’s orbit. How about the possibility that the moon’s sidereal period or other periods are dictated even driven by the sun? Something provides and replaces the energy the moon loses, for example what it delivers to our tides. This Japanese work is very good but the world would have been way past this if this Australian member of Astronomical society of France, from the Bernoulli family on his mothers side had not been character assassinated by our government scientists at the time. They called him names like “Master of delusion” and “Astrologer”. He still is called such by today’s most incoherent carbophobics but look at his understanding of these effects and cloud formation around 1947. Sunspots themselves are “Solar Cyclones” – great whirling electric storms that are seen in its atmosphere by us. earth-perhaps in the vicinity of 90 hours. dust particles; condensing clouds and vapour by this charging. and well described by Russell Wallace and others. But the Sunspot “Guns” do the electric charging. No spots-little or no rain. Large spots-.much rain. Above quote from the book “My NEPHELO COCCYGIA” by Inigo Jones 1946 or 7? “When the sun rises with spots rain follows”. Was he the person who tried to incorporate sunspots into weather forecasts? To be honest that would have been a fascinating hobby. Unfortunately mainstream science can’t find any significant effect from sunspots on surface weather. One odd thing about science is you are actually allowed to be wrong, it’s one of the reasons I like science – if you were forced to be right all the time, you would become paralyzed. More sunspots see an increase in El Nino, while minimum sunspots seem to produce more La Nina. The energy in tides is not replaced. The moon’s rotational momentum is converted to heat which is then lost to space. I seem to recall the moon is actually gaining energy from the rotational energy of the earth – the spin of the earth slows down and the moon gains potential energy by moving into a higher orbit. This won’t last forever of course, in time the spin of the earth will slow right down and the moon will start losing potential energy and drop in it’s orbit. As there are no sunspots right now .. will there be no lightning? Other causes and sources of solar wind like coronal holes and also the cosmic rays should look after it and perhaps the same 11ish year (PWM?) frequency remains even if the visible spots do not. Then we are also at a cosmic ray maximum. “Scientists have discovered new evidence to suggest that lightning on Earth is triggered not only by cosmic rays from space, but also by energetic particles from the Sun. Have a look at the anticorrelated cycle position and amplitude on the Moscow Neutron Monitor. Click the “monthly” button. Of course there will be. The solar wind just does not stop. It dumps huge quantites of electric charge into our atmosphere, continuously. The difference in charge between top and bottom (<- that's where we are—at the bottom) of the atmosphere has to be equalised. That's lightning. The solar wind is made of protons (positively charged) and electrons (negatively charged aka beta particles) mostly. There are a few stripped (ionised) nuclei of other atoms (alpha particles or Helium nuclei, and anything up to and including iron) in smaller quantities. It isn't all nicely mixed together, but is "lumpy." The velocity of the solar wind varies—I've said in previous posts that the solar wind "has lumps in it." These are step functions of velocity. A solar coronal hole emits solar wind at higher velocity than the rest of the sun's surface. The step increase of velocity from the arrival of the coronal hole stream is effectively a "lump" or "bump." It does interesting things to thunder storms in the tropics. Moving electric charge has associated magnetic fields. Therefore the solar wind carries the sun's magnetic field (known as the Interplanetary Magnetic Field) out to the heliopause. It's an even more important shield for little earth than our own magnetic field. It's the field which controls our exposure to Galactic Cosmic Rays which are now known to modulate (vary) our low cloud cover (Svensmark). The GCR count is rising rapidly as the Sun slumps into the current solar minimum. (End of cycle 24 and soon, start of cycle 25). "Lumps" in the solar wind are sufficient to push thunder storms into Cat 1 TC's. Big lumps make them Cat-2. Solar flares and their associated CMEs (Coronal Mass Ejections) wind them up to Cat-3 to Cat-5 depending on size (power) of the flare and CME. You could cast your gaze upon upon this video and also read about the the solar storm of 1859 (also known as the Carrington Event). The USA was hit hardest because it was just south of the northern magnetic pole. All this is called Spaceweather and it’s what drives our so-called “extreme weather.” CO2 and human “emissions” are blameless. And as we are finding out, it’s not just extreme weather but there’s an influence on ordinary weather. We know few GCRs give us fewer clouds which means clearer skies which means sunnier days, which means warmer times (or “heatwaves” for the poor solar-impoverished northern hemisphere idiot newspaper reporters.). The IPCC was mandated to prove the assumption that humanity’s combustion of Fossil Fuels caused the Twentieth Century’s Global Warming. They didn’t dare look at the sun. They leapt upon the apparent relative lack of variation in the sun’s output of infra-red to the top of the visible spectrum electromagnetic radiation and declared the Solar Constant. They focused purely on TSI. Very silly of them really. Our sun is a variable star of enormous—like humungously huge—power. Small variations of solar output have, to we small and pathetically weak little life forms, substantial variations in effects. Its cycles range from a few years to thousands of years. We don’t know all of them yet by any means. There’s 11, 22, 85, 200, 1500, 2500 year cycles. We’ve met those and we’re still trying to determine all their effects. For all we know, and we don’t, there could be 40,000, 100,000 and 30,000,000 year cycles. (Two of those have been ascribed as Milankovic Cycles and the biggie to our traversal of galactic spiral arms during our orbit of the galactic centre.). And now, their willful ignorance is coming home to roost, but is it too late for us? Planet Earth orbits its star deep within that star’s atmosphere. “Lumps” and “bumps” in that atmosphere have effects on our weather and climate through geomagnetic storms. CO2 is just another atmospheric gas, like methane, nitrogen, oxygen, and all the other ones. It’s nothing special. Our star on the other hand, snuffles and we go from warmhouse to icehouse and back again or vice versa. The Milankovic Cycles are to do with the mechanical motion of this planet around its parent star and are not solar cycles per se. If you do decide to call me on that then I invite you to research the consequences (effects) of the planet’s nutation. Not me. Liked your comments a lot and think that the gravitational, optical, electrical and and magnetic cycles are real and all related to position . My theory is in effect that the whole solar system is simply a vast electro-magnetic machine which is automatically controlled by the magnetic fields of the planets; this applies among other things, to the seasons, so that if we know what the conditions were when the same planets stood in the same relation, then we can know what conditions will arise now. Thank you for your kind comment, Sliggy. The “If you do decide to call me on that” wasn’t aimed at you but at anyone who wanted to tell me the Milankovic Cycles “don’t have anything to do with the sun.” They do, but indirectly. Your comment hadn’t appeared when I started replying to Curious George. It went up while I was still proof-reading and correcting mine. Jones sounds interesting. I’m familiar with the name as an ancient (1573-1652) 17th Century English architect and painter, but had been ignorant of this Australian (Brisbane) later bearer ( 1872-1954 ) of the famous name, a meteorologist no less and Crohamhurst Observatory… I’ll have to look deeper. This is one of the reasons I so like Jo’s blog. It’s all the interesting fascinating and informative side-tracks! The AGW theory has been falsified. Looks like it has been drawn with crayon. It appears amateurish because of our shoestring budget, Bloomberg offers a compelling argument which needs debunking. It is a delight to find old records such as these that suggest the scientific curiosity and the dutiful record keeping of people seeking truth about things that were important in their livelihood. Makes you wonder what happened to the much “better science” of the global warmunists of today. I guess socialism and globalism driving the climate scientists today dull their thinking and their dutiful data collection. All your comments are right on but I refer specifically to Leonard’s because I must nit-pick his a little. I do not consider these people who kept records of what they observed ever considered themselves to be philosophers seeking truths. They had as Leonard clearly stated: scientific curiosity even if they were not scientists either. “Makes you wonder what happened to the much ‘better science’. I consider the answer to what happened is obvious. The “better science” was totally based upon simple observation such as the farmers recorded. similar periods. Such a consideration cannot be found in the posting. Is it difficult to see that there are few naturalists who observe ‘nature’. Most are not general scientists, they are specialists who no longer have a general knowledge that is outside of their very narrow specialty because they no longer have a general scientific curiosity. It’s Philip with one ‘l’. Are you suggesting that No missed something in the post? My experience of people gifted in hard sciences, physics, maths, logic etc is that they tend to lack the sense of context. For example, nobody is more easily persuaded of a simplistic and mechanistic climate model than someone who has the confidence and mastery of numbers. Lately we’ve seen the emergence of very gifted and specialist calculators who have no idea of the limitation of statistics. As a simple example I’ve raised here before, a clear day may have a much high max and lower min. Averaged out, the temp for that day may be identical to the temp of a day of rain and cloud for 24 hours. The focused data guy sees two apples of the same size and goes on crunching in the service of “climate science”. He simply does not realise that he has seen an apple and an orange of the same size. Thus, imagining he is engaged in science, he works on without a shred of interest in all-important context. What you don’t know you don’t know. What you can’t compare you can’t compare. Proceeding with knowing and comparing because funding and Publish-or-Perish (a true blot on civilisation) demand results is not doing science. Most of us here know that if Cyclone Mahina, the 1955 Floods or the Bulahdelah Tornado were to occur now they would be fitted to a dogma, sometimes evasively sometimes with faux precision. Instead, because these events lie back in the past, they just happened. They’re treated like old sepia photos lying in the bottom of a drawer. That’s because the all important key words can no longer be spoken. Those words are “I dunno” and “I wonder”. This is not to criticise the mechanists and calculators or even to limit them within their field. That would be like wanting burly forwards to do the work of half-backs and full-backs. We all need to become insistent on common sense, interpretation and living with the contradictions which arise from opening the window and looking out. And we have to stop soaking in the assumptions and smugness of a Brian Cox or a DeGrasse-Tyson, expert distractors and button-pushers who have come to represent “science” for far too many, thanks to our truly appalling media. I’m afraid I disagree mosomoso. What you describe is a slave of numbers, not a master. I stand corrected. But I don’t want to under-rate anybody’s skill. God knows, when this brief comfy interglacial is over soon, we’ll need some skills. I’m going to poke my oar in and say you’re both right in various degrees. The slave of numbers doesn’t do thorough literature searches so their context is (very) limited as mosomoso says. However, the master is a thorough searcher and what is found there moderates their output. Lately we’ve seen the emergence of very gifted and specialist calculators who have no idea of the limitation of statistics. They’re called “Economists.” They don’t know how an economy actually works, being mis-educated. So they try to describe it statistically. It’s why their “projections” (I won’t call them “predictions”) keep crashing and burning. Jo, you have just pointed out one more reason to discard the climate change nonsense and go with the fact that weather is extremely variable. I think that’s the truth of the matter. Spectacular positive CG lightning bolt – lightning from the blue – over the Bahamas! It’s via twitter, hope you can see it. That was pretty speccy Matk! When working out on the Nullarbor Plain, used to see some really great displays of lightning. What does the 97% failed doomsday global warming science say? How sad for the ‘science’. I still cannot believe that anyone thinks that something like a nearby star can in any way affect the earth’s climate. Next someone will start suggesting that this nearby star’s gravity affects earth. Then they’ll suggest that the earth is a sphere and it rotates around that star. Where’s the Inquisition? … The Inquisition is Dead. Long Live The Inquisition. Interesting. There is a ~40 day cycle in tropical monsoon activity, possibly related to Madden-Julian activity. According to Genesis (the first book in the Bible ) Noah’s Flood occurred when it rained for 40 days and nights. See? They knew about the weather cycles way back then! Where’s St Swithin in all this?! Precisely. Just looking at ocean cycles lead to the same source. Lightning correlated with solar rotation. This is the first time I’ve heard of it and it’s definitely interesting and another nail in the coffin for Warmists. Trouble is, all our money’s still going into studying witchcraft. I suggest a study: “Climate Change™©® Causes Mankind’s Regression To Dark Ages”. I can feel the grant money flowing in already, because I mentioned the Magic Word. The USA government may not have yet spent billions on NOAA’s Surface Radiation (SURFRAD) project and its US Climate Reference Network (USCRN) and the US Department of Agriculture’s Soil Climate Analysis Network (SCAN), and atmospheric soundings (not sure what department or agency) and the weather service at airports. I found that all this good data, which is free to whomever wants to study it, is seldom being considered. Have you tried to take advantage of it to see what you could do? As The Goreacle pontificates to his own ilk: “You don’t have to be a climate scientist, just look out the window”. “US Climate Reference Network (USCRN)”. It’s good data. It’s just a little too short in duration, but it will get better as more data is collected over a longer period of time. There is banter going the rounds that the ‘hiatus’ will continue for a couple of decades. The hiatus (as described in the IPCC reports) finished some years ago. Wishful thinking, it was just the 2016 El Nino blip. Either you are getting a bit careless, or you can’t read charts. Even Dr Spencer’s data set shows warming after the 1997/98 El Nino. We are up on a high plateau, strong El Nino has kept us here. Some lukewarm theorists believe the plateau in temperatures will continue until 2035, but with an imperceptible tilt on the cool side. OT and likely this comment more correctly belongs with the earlier post on the World Bank. Forgive me, ‘m just catching up; my World Bank comment languished in moderation for no discernible reason all day. As Professor Rosemary Falcon points out, clean coal is not just feasible; it is also about the cheapest way to generate electricity on a continent where twice as many people as live in the United States are without power. Obama had been using the “born in Kenya” story since 1990. He despises his own African people. There were a couple of huge flashes in 1945….. There were a couple of huge flashes in 1945…. Three of them. They were so bright, they lit up the moon. Not bad for daylight. Martin Mlynczak and his colleagues over at NASA tracked infrared emissions from the earth’s upper atmosphere during and following a recent solar storm that took place between March 8-10. What they found was that the vast majority of energy released from the sun during this immense coronal mass ejection (CME) was reflected back up into space rather than deposited into earth’s lower atmosphere. The result was an overall cooling effect that completely contradicts claims made by NASA’s own climatology division that greenhouse gases are a cause of global warming. That’s handy; just in time to start a ‘CO2 causes global cooling’ panic again and slide away from blame in wasting trillions on CAGW. Nearly all of of us here on Jo’s site being just plain interested in the world around us and what makes it tick will have seen the photos of the preliminary spikes, the flickering tracers of a lightning strike building up only in a couple of seconds between the ground as well as from the triggering cloud to finally culminate in the full scale lightning bolt of hundreds of millions of volts. A few years back I came across a paper or article that argued that those millisecond preliminary tracers and spikes of a lightning bolt that we can often see in photographs of lightning bolts actually tracked along the ionised pathway of an incoming cosmic ray particle. An ionisation which was the end result of the track of either an incoming cosmic ray or high velocity nuclear particles and debris arising from the collisions of high energy cosmic rays within the atoms and molecules of the Earth’s upper atmosphere. Just chasing through a couple of papers on lower atmosphere ionisation from cosmic rays and there is quite a number of reference papers on the same subject going back to the beginning of the 20th century where records from balloon flights into what we regard as the lower atmosphere have been re-assessed and the data used to give a much longer record of the interaction of cosmic rays and earths climate and weather. The Heliospheric Current Sheet which is rarely mentioned in common literature makes up a very important solar magnetic field changing phenomena as the earth’s plane of orbit passes through the sheet as it weaves and waves up and down due in part to then earth’s orbit around the sun not being exactly equatorial but is tilted relative to the solar rotation. This Heliospheric sheet impacts on then Earth’s own magnetic field and our upper atmosphere and maybe has some very important secondary effects on the lower atmosphere. The heliospheric current sheet rotates along with the Sun with a period of about 25 days, during which time the peaks and troughs of the skirt pass through the Earth’s magnetosphere, interacting with it. The heliospheric current sheet is the surface within the Solar System where the polarity of the Sun’s magnetic field changes from north to south. This field extends throughout the Sun’s equatorial plane in the heliosphere. The shape of the current sheet results from the influence of the Sun’s rotating magnetic field on the plasma in the interplanetary medium (solar wind). A small electrical current flows within the sheet, about 10−10 A/m². The thickness of the current sheet is about 10,000 km near the orbit of the Earth. The underlying magnetic field is called the interplanetary magnetic field, and the resulting electric current forms part of the heliospheric current circuit. The heliospheric current sheet is also sometimes called the interplanetary current sheet. The heliospheric current sheet rotates along with the Sun with a period of about 25 days, during which time the peaks and troughs of the skirt pass through the Earth’s magnetosphere, interacting with it. Near the surface of the Sun, the magnetic field produced by the radial electric current in the sheet is of the order of 5×10−6 T.
The magnetic field at the surface of the Sun is about 10−4 teslas. If the form of the field were a magnetic dipole, the strength would decrease with the cube of the distance, resulting in about 10−11 teslas at the Earth’s orbit. The heliospheric current sheet results in higher order multipole components so that the actual magnetic field at the Earth due to the Sun is 100 times greater. Another reference for cosmic ray information is the Oulo Cosmic Ray station in Finland which is the best known of the cosmic ray stations. headline on ABC “Just In” page: Could you sleep through a 42.6-degree night? 42.6° C??? I make that to be 108,7° F, a temperature reached at night in the deserts of southwestern United States. Try Phoenix Arizona at 110 overnight according to the thermometer at my motel when I was there. What is wrong with these researchers who are so concerned with my health but can’t turn their brain capacity to cleaning up the filth littering the streets of San Francisco? I guess that where you live makes a difference??? They should try sleeping in Kingman Arizona at 100° F under an overcast with the humidity at near 100%. I did that too. Sixty five years ago, when I was a kid, we would frequently have rerun of 10 days in summer that were over 100 ranging up to 104 F.
And now we don’t seem to get those extremes. Where has global warming gone. I didn’t think you were that old. My gosh, that’s really old. These kids today have no memory of such difficult and troublesome things as a dial telephone. Can you imagine having to do all the work to rotate that dial all by yourself and with just one finger too. It must have been exhausting to make a simple telephone call. Well, with that being the case how can we expect them to remember that once you actually had to walk all the way to the Stevenson Screen where the thermometer was and open that box to take a look at the little column of mercury – oops, can’t have mercury anymore so I may be in trouble for talking about it. These days you just touch the screen on your iPhone and it tells you how hot it is and whether it’s a record or not. And you know computers, they’re treacherous little devils and they don’t tell you that today’s reading of only .1 degree above last years is no record, just that it’s hotter. And they’d tell you the same if today is only .01 degrees higher or .0001 degrees higher. But that’s progress for you. Use the app about which you know nothing instead of thinking. But the latest iPhone has a very good compass display. I doubt many users will know how to get from here to there using a compass and a map though. But it’s in there. And I know how to use a map and compass. You pass the test for admission into the oldtimer map and compass reading association with all the rights and privileges pertaining thereto. You have but one step left to advance to the level of master map and compass reader and that’s to navigate your way successfully to the corner grocery for a six pack of beer. Once you have done that you can be assured that what you have accomplished will be the envy of every millenial in Oz. And at the rate high technology seems to be threatened by disappearing electricity because of foolishness, it may well be a good thing that you have become a member. And if you believe any of that, well, just smile and we won’t tell anyone else. It will not be necessary to demonstrate proficiency with a rotary dial telephone. It would probably be impossible to find one. By the way, I tested that compass app in my wife’s new iPhone and I wish I had such a well compensated and stable compass when I was flying. It was rock steady when I put my real magnetic compass next to it and the magnetic compass was deflected by the magnetic core material in the several antennas inside the phone. But no matter how I turned the phone the needle stayed right on the direction I know to be magnetic north at my lat/long. There was no oscillating as a real compass does, it just followed north, showing me in degrees to the 10th of a degree how the phone was oriented relative to north. Interesting isn’t it, the degree to which some clever engineer is willing to go for the sake of a gadget that most people will have no good use for? They are becoming surprisingly good. GPS is now able to show you where you are within a couple of feet and correlate that with a map display showing exactly where you are, read out your speed show the direction you’re heading… …and all in a telephone. It’s almost as if the phone was an afterthought. Kate Doyle (ABC) is flat out wrong. Temperatures at night might be going up in the Northern Hemisphere at present, because it’s SUMMER. (Oh wow.) Smashing records are they? By how many hundredths of a degree? Didn’t say that Missy Kate? Naughty girl. Fake news, because even a half-baked idiot knows that a high temperature here and maybe another one way over there does not a trend make. And slightly above average temperatures? In summer? No. That’s fake news Missy Kate. She must be suffering from CI —Congenital Idiocy. The Northern Hemisphere is only the northern HALF of the world, NOT the world! Down here in the Southern Hemisphere she must know that they go up and down depending on the weather and that it’s winter down under so it’s generally down. But that’s not news. Put the hat on, Missy Kate, the one which says D-U-N-C-E and go stand in the corner. I’ve been studying lunar phases and its impact on the weather. Southern hemisphere only as we are in winter. Steve not frosty here Ballarat Victoria but cold max 9.1c windy ~35kph for the day, I’ll report back on the 27th, if it’s going to snow it’ll snow here. Remind us again, each week. 19/07 Frosty if wind N or NE … umm. No. Frosty comes from W & SW and sometimes S and SE in both NZ and Au. Same for 04/08. Anything from Antarctica is usually cold. NW, N and NE brings tropical air in, which is a significantly warmer air mass. Why did I mention Ken Ring? Well, he reckoned he could predict weather based on just lunar periodicity. Didn’t work. You could also watch spaceweathernews.com every day too, because there is the info which really affects terrestrial weather. Suspicious0bservers daily news is mostly aimed at North America but you could learn from it. Ben Davidson, the commentator, may be ahead of you but is very informative. Speaking of s0′s website, there are a plenty of educational videos which I have found interesting. Try them if you like. No, you’re all wrong! Lovely warm relations have been cooled by BREXIT!! If it wasn’t for the British, the weather would be reliable! English weather is now Muslim. Sunni one day, Shiite the next. While seemingly not, this is actually related to the topic, in the respect of a daily keeping of records, or data. For me that has been my new Series on the daily power generation data. Previously, I only ever had access to the overall data for the whole year, and while helpful, it missed so much that can be gleaned on a daily basis, sort of like looking at tree rings and making assumptions from that, as opposed to the daily recording of things like these old Japanese did so long ago. That yearly overall power data was published around six Months after the end of the year. I would look at that and get an ‘overall’ image of the year for each of those power sources, (the macro overview) but no understanding of what happened at the daily, and weekly levels, and even from those daily levels, what actually ws happening on an hourly basis, particularly at the 4AM minimum, (the Base Load) and then at the evening peak at 5.30/6PM. So, even though I was looking at the Aneroid images on that daily basis for the Base Load at 4AM, I was missing (well, not particularly even looking at) what was happening at that hourly, and daily level ….. for ALL the forms of power generation. Now that I’m doing it on that daily basis, I have learned so much more, and these are things I actually thought I had a good handle on. I always thought (before I started) that it would be a time consuming effort (around 2 hours a day now I have it down pat) for very little result, but it has been a revelation for me, because I can now SEE what is happening hour upon hour, for the day, the week, and the Rolling Totals. The value of something like this, keeping of daily records, is so often under-rated. You make a very good point. In the years before 1985, most of our field geological observations were recorded in written log books, then often typed. Then post-1985 or so, some of our geologists started using the emerging personal computer that has become almost the only manner of record now. In the transition, we encouraged staff to continue manual processing as well as computerised. The ability to generate maps and use cells for averaging came later. It was well noted that drawing maps by hand and colouring them as needed gave far more intimacy to the data. I have no doubt that this led to better understanding of the whole picture than is seen in the mechanised data world of today. It certainly helped me that way. Geoff. I assume Tony, that it might be possible to see the amount of power being used and generated by coal generators. The amount generated per hour would be fairly constant but it would be interesting to see if the displacement of capacity by renewables shows up. If that happens we should be amazed that the powers that be have given authority for this detail to be shown. That’s where I just shake my head in wonder at times when reports in the media say that coal fired power is not really designed for (the current) purpose, so not all that much good because it can take DAYS to ramp up to full power. On a daily basis, coal fired power ramps up by 4000MW, then back down by around 2000/3000MW then up again by 4000MW, sometimes much more than that, and then ramps back down again. It follows (almost) exactly the actual power consumption for the day, and does that every day. The AEMO publishes that data on a five minute basis for every unit of every plant of every type in the Country. That data is compiled into actual load curves at the Aneroid site, and I use their images, a reflection of power generation from every source. Those individual images I use, I gather all nine of them I use at Midnight for the day just finished, and then publish them at (around) 2PM our time so 14 hours after that day has finished, with commentary for that day just finished. You can see them at the link for today, for the data from yesterday, Wednesday 18th July 2018. From that, you can SEE how coal fired power ramps up and down on that hourly basis, by anything up to that 4000MW. Coal fired power is averaging around three quarters of every watt of power being consumed in the Country. And, incidentally, the one big ‘take out’ for me in nine weeks of doing this is that wind power has ZERO effect on what coal fired power does day in day out, and I don’t know how to accentuate that word ZERO any more than capitalising it. The only effect rising and falling wind power has is on natural gas fired power and hydro power, When wind is high, the other two are low, and when wind is low, the other two are high. Coal fired power just does what it always does, same thing, day in day out, or should that be hour in hour out. It is quite common to see that in blogs and in the media. I guess it is partly right in that it does indeed take days to ramp up for a cold start. However once up and running at the correct revolutions the output is governed by the field exitation and, as you say, follows the load. A very inefficient way to do it because the “big kettle” has to keep burning fuel to keep it spinning. It is also very common to see photos of the steam from cooling towers referred to as “pollution” which, together with the lack of understanding about spinning reserve, point to the ignorance of the writers and journalists. Oops, should read “excitation” not exitation. I assumed that’s what you meant.. Correct me if I’m wrong Tony, but is that because gas and hydro are quicker to respond/change to those demands, so they’re letting coal be the constant base load? Coal fired power just ramps up and down as required providing the vast bulk of the power required, following the actual Demand as it rises and falls, and when the extra is needed, at the morning and evening peaks, natural gas fired power and hydro kick in as you can see from the images at each of the Posts. Wind does what wind does. If it’s there, then not as much NG and hydro, if not, then more NG and hydro. Coal fired power just hums along nicely to match the ‘Load’, and yes, they do come on line fastest of all. You can further isolate the images down to each individual Unit, (coal fired) and while some of them just thump along at or close to max, the others will ramp up and down, sometimes by as much as a third of the total Unit’s output, so that when viewed as a whole, then total coal fired power follows the Load. The exception here is Victoria, and since Hazelwood closed, every one of the remaining 10 Units (at Loy Yang A and B, and Yallourn W) run at their maximum, virtually all the time, so the coal fired output for Victoria is a straight line nearly every day. Running coal at max all the time in Vic looks nice on paper as 100% utilisation for management, but in reality it leaves almost no flexibility if something goes wrong. It seems that solar isn’t helping anything at all, considering any output is inside the morning and evening peaks. It would be best redistributed via storage, but the cost would be insane and any benefit to peak times remains to be seen a decade or more from now. Any solar from Tassie is almost nonexistent and could (should) be augmented by greenies pedalling generators, seeing the vast majority of them are found down there. The second graph that separates coal from total fossil is the paydirt. It shows what you mentioned, that coal fired can be flexible. The graph shows coal moving up 25% over 3 hours and down later. The infill of gas at peaks seems capable of changing quickly. The problem is that neither the gas nor the hydro nor the solar are cost effective. In a parched continent like Australia, hydro electricity is a bad joke but as a face saving exercise it is classed as a renewable. All of our electricity should come from cheap, reliable coal generators. The contribution of solar on the graph is negligible but I guess Algore would just say: wait and see what summer brings. Even if coal generators occasionally produced a slight excess of power, that waste would still be far cheaper than the current crazy system of forcing renewables into the rigged market. Whatever coal fired power is generating is the first power used. At the minimum point 4AM, coal fired power delivers 81% of all power being consumed, and at the evening peak, at its highest, around 66% to 70% of all power, averaging around 73% to 75% across the day. Whatever is being generated is being consumed. When slightly less is needed, say at 4AM, and between the morning and evening peaks, it ramps back, but all of it is consumed. This includes line losses, transformers and possums. Nothing can be stored, it all vanishes even if nothing’s plugged in (controls at the power station at minimum are always on). Of course that’s true as long as we don’t close down too many more coal fired pwoer stations. Like one of the moons discovered around Jupiter that’s going around the other direction and will eventually crash into one of the others, we are going the wrong way and if it continues we will crash too although not so spectacularly. The point expressed by Graham, above, about having to keep the big kettle boiling is the issue I was trying to get at. When current draw is “ramped up” I am not sure of the mechanism involved. It obviously doesn’t mean spinning the rotor faster. The process would be more like tapping off. Is there any physical retardation of the rotor when this is done? If magnetic drag occurs then more power/fuel would be used. “urban heat islands”. where did we first hear about that? Looks like BOM has found another way to trick the gullible into believing we are still heading of unusually high temperatures. In Sydney they predicted a high of 22C and still do, which is unusually warm for this time of the year. It’s currently 17C and feels much colder than that due to the chill factor. If it does reach 22 today, it will only be for a very brief period. Then we’ll fall back very quickly to the usual very cold temperatures of around 11 or so in the evening and single digits overnight. So much for the appearance of a warm day of 22C. They might as well touch their thermometers for a few seconds and claim it was a hot day and label it as evidence of global warming. Blocking high pressure creates warm days and chilly nights, and of course we have these cold air outbreaks from the Southern Ocean to remind us its still winter. The return of cold fronts and winter rains indicates a return to normal weather, and probably similar to the period from the mid 1940s to 1976, roughly 30 years. Global warming came to an end in 2006, so why do we have this plateau in temperatures instead of a gradual downward slope? Anyway, here you can see we are back in the 1950s. Let’s see if it gets much colder over the coming years. If it does I suppose people will rethink what to use for heating. Electric and gas are already too expensive, air-con only works some of time. Wood fires might become the rage once again with people scrounging around for cheap or free supplies any which way they can. So much for reducing our emissions, and not just CO2. As typical with politicians they make decisions without recognising they can so easily backfire. On the ground we won’t notice much difference, its just a rerun of the 1950s and 60s. That shouldn’t be too hard to sell and I reckon Cory could do it, he’s presently talking about immigration so this next step should cement his place in history. When is the rain coming then? In the central west of NSW the drought is pretty bad, the winter rains failing to reach that far north, but in Victoria, SA and WA its back to normal. Take note of the unseasonal rain impacting the Queensland coast, what do make of this anomaly? The current OneEarth/Solar Year ‘X Factor’ Dry Cycle started circa 110 degrees longitude,(Beijing) in mid-February 2018. Its orbit has now reached the U.S – and will reach Australia’s East Coast in early January 2019. The preceding One Earth/Solar Year Wet/Normal Period is still over Australia, thus the ‘normal’ Winter rainfall conditions in parts of the country. These Cycles move from East to West,(with the Solar Orbit of the Earth’s Magnetic Field,) – but prevailing weather moves West to East and towards the Poles,(Axial Spin). Australia,(Japan etc) happens to sit in the ‘transition’ longitudes and is therefore affected by ‘encroachment’, from the ‘Dry Cycle’ immediately to the West, thus explaining the High Pressure cells from the Indian Ocean, disrupting ‘normal’ Winter rainfall. Nothing to do with ENSO. This time last year the subtropical ridge lost its intensity, which explains why South Africa and the bottom half of Australia are once again receiving normal winter rains. I’m assuming that the Sun’s axis is perpendicular to the orbital plane of the planets. So it takes 27 days to rotate once. Given the highly fluid nature of the Sun it’s amazing that it has some irregularity that has been in place and active for several hundred years. Things that boil and bubble wouldn’t be expected to be so constant. Its blank now, which gives us the opportunity to test a few theories. We are on the threshold of understanding why low sunspots cause earthquakes, but more importantly its becoming abundantly clear that we have no control over climate. Barycentric behaviour is the key to enlightenment. The relationship between the sun’s rotation about the barycentre and climate (including increased earthquakes) was identified by Rhodes Fairbridge. Rhodes Fairbridge died on 8th November, 2006. He was one of Australia’s most accomplished scientists and has a special connection with Australia. In July, 1912 his father Kingsley established Fairbridge Village near Perth. It contains a chapel of elegant simplicity designed by one of the world’s most famous architects of the time, Sir Herbert Baker, as a labour of love to commemorate Kingsley. Rhodes is one of the few scientists to research the sun/climate relationship in terms of the totality of the sun’s impact on the earth (i.e. gravity, the electromagnetic force and output and their interaction). When the totality of the sun’s impact is considered, having regard to the relevant research published over the last two decades, the influence of solar variability on the earth’s climate is very strongly non-linear and stochastic. Rhodes also researched the idea that the planets might have a role in producing the sun’s variable activity. If they do and if the sun’s variable activity regulates climate, then ultimately the planets may regulate it. Recent research about the sun/climate relationship and the solar inertial motion (sim) hypothesis shows a large body of circumstantial evidence and several working hypotheses but no satisfactory account of a physical sim process. In 2007 Ulysses will send information about the solar poles. This could be decisive regarding the predictions about emergent Sunspot Cycle No 24, including the sim hypothesis. According to the sim hypothesis, this cycle should be like Sunspot Cycle No 14, and be followed by two that will create a brief ice age. During the 1920s and ‘30s Australia’s Bureau of Meteorology published research about the sun/climate relationship, especially Sunspot Cycle No 14, showing that it probably caused the worst drought then on record. True, but at this altitude I can’t see a mini ice age anytime soon. This idea has some relationship to the work of Inigo Jones a famed Qld farmer/forecaster. (probably better known via his successor Lennox Walker). I also get a taste of Svensmark’s hypotheses. Slightly OT – in hindsight, a fear-driven social engineering manoevre…. “Why has your power bill risen? There are five parts to your bill, including costs of the network, wholesale electricity and retail. The biggest increases in that time have been environmental costs (up 374 per cent) and retail margin (up 103 per cent). But the biggest factor in pushing up bills has been two different elements: the cost of gold-plating the network and wholesale electricity. Energy Council chief executive officer Sarah McNamara, who represents power retailers and wholesalers, is sympathetic to households and businesses struggling with rising bills, but lays the blame in somewhere different. “The real driver of rising bills in recent years has been wholesale market price volatility and the reasons are no secret — we didn’t need as ACCC report to tell us,” she said. “Mr Edis said suppliers should be incentivised to install and lead customers in take-up of new technologies. However, he is worried relying on customers to navigate the complex world of electricity pricing is a recipe for failure. “It’s just not going to happen through some perfect economic model, like that we say let there be a ‘free for all’ of electricity pricing, where retailers charge whatever they want and then suddenly competition will solve all these problems. For Mrs Jannu, even on a cloudy and windy Melbourne day, she feels the sun is shining on her. DENVER — The Trump administration on Wednesday eased rules for handling toxic coal ash from more than 400 U.S. coal-fired power plants after utilities pushed back against regulations adopted under former President Barack Obama. An energy technology start-up has raised $50 million to turbo-charge its plan to convert waste material from coalmines into low-cost fuels. Vitol, the world’s largest independent oil trader, and Peabody Energy, the coal group, are investing $10 million each in Arq, valuing the London-based venture at $500 million. The company was founded in 2010 by Julian McIntyre, a banker-turned-entrepreneur, to invest in the coal industry. Four years ago, it began developing its technology and obtained a patent over its coal dust-to-fuel process in November. Arq Fuels has struck a deal with Vitol, the world’s largest oil trader, and Fortune 500 coal mining giant Peabody to develop a fuel which could slash costs within the global shipping industry. At the same time, Vitol and Peabody have invested $10m (£7.6m) each as part of a $50m fund raise which values the Arq business at $500m. Julian McIntyre, the founder and chief executive of Arq, said the coalition of industry players could help develop the cheapest hydrocarbon in the world. China General Nuclear Power Corporation (CGN) has acquired a 75 percent stake in a Swedish wind power project from Australia’s Macquarie Group and GE Energy Financial Services, state news agency Xinhua reported on Wednesday. The North Pole project is expected to have 179 wind turbines that will deliver 650 megawatts of power, and is said to be the largest single-site onshore wind installation in Europe. It could provide power for 400,000 families. The world’s largest electricity producer is warning it may run short of power this summer. “As China entered summer season, electricity demand for air conditioning and refrigeration has increased, leading to a rapid surge in daily power generation,” Yan Pengcheng, a spokesman for the National Development & Reform Commission, said on Tuesday. Power load, which has already hit close to last summer’s high, is expected to “continue rising significantly, and shortages may occur in some areas during peak periods,” he said. In the first half of the year, power demand from agriculture, manufacturing and service industries climbed 10 percent, 7.6 percent and nearly 15 percent, respectively, according to the China Electricity Council. Residential use rose 13 percent, it said last week. Over the years, China has invested more in clean energy than anywhere else in the world, with the bulk of newly-added capacity in solar, wind and hydro-power. ***However, output varies with available sunlight, wind speeds and rainfall patterns. They argue that we have been sacrificing all this by subsidising renewables, with the result that electricity prices paid by households and businesses have soared and reliability has been seriously compromised – that wind and solar can’t provide stable and dispatchable 24/7 base load. Indeed, that they have introduced an intermittency problem, being unable to consistently meet the morning and evening peaks in demand. They claim the business model for renewables hasn’t been proved in the absence of the subsidy from the renewable energy target. Mostly, this pro-coal group ignores the climate challenge. Indeed, some of its members would have us withdraw from our Paris commitments on emissions reductions. They make a multiplicity of sub-points – Australia is only a small emitter by global standards, so our emission reductions won’t make much difference against the big emitters in the United States, China and India; if we don’t burn our coal, others will; others are continuing to build new coal-fired power plants. The coal lobby also choose to ignore the rapidly mounting resistance of the finance community to finance or insure new coal-fired power plants – hence, they hope to push government to underwrite it. A well specified tender process would force all sides to put up and shut up, hopefully once and for all. Last month, Delhi Power Minister Satyendra Jain wrote a letter to the Centre complaining that few thermal power plants in the city were facing an “acute coal shortage” for many days. ***He also said that Delhi was staring at a power blackout due to less availability of coal stockpiles at power plants in the city. India’s coal demand rose 7.5 percent to about 900 million tonnes in the year ending March 2018, Coal Minister Piyush Goyal told lawmakers on Wednesday. India’s thermal coal imports rose by more than 15 percent in the first three months of 2018. After nearly a decade, the country managed to produce 11,059MW – the highest in Bangladesh’s history so far – on July 12, reports Bangla Tribune. The PDB chairman said three coal-fired plants are under construction at Matarabari, Rampal and Payra. They have a combined generating capacity of 1,320MW. In 2009, only 47% of the population had access to electricity. The percentage has risen to 83 now. The government is providing 300,000 to 350,000 new power connections every month. This is because over the past nine years, 88 power plants have been set up by the government and private sector, with only three being decommissioned. Currently there are 112 power plants compared to only 27 in 2009. Of the new ones, 32 plants with a total capacity of 4,606MW were government funded, while 56 were financed by the private sector and are able to produce 4,213MW. What a joke. A mere 3MW solar plant. That’s like someone suggesting they attach several Ryobi blower vacs to a Boeing 777 to increase it’s speed on take-off. I sometimes wonder of they build such useless solar plants just to shut the greenies up, or they do it to pretend they are doing something to save the planet. I am not sure even if all the money wasted on trying to prove global warming was spent on models we would have working ones as there is still too much not sufficiently known to model. But, we would certainly know a lot more about our climate and weather and be better at forecasting. Amazing to think that there is still nothing up in space studying the sun after the launch explosion back in 2015(?). You would almost think they don’t want to find out. Meanwhile the UK has a ‘wind drought’! It’s all just a game. If they really believed we are heading for some catastrophic global warming crisis then nations all over the world would not be building hundreds of coal fired power stations as we speak with many more to come, and instead they would be building many more nuclear power stations than they already are. Britain is experiencing a “wind drought” that has slowed or halted the blades on turbines around the country. July’s wind energy output so far is down 40 per cent when compared to the same period last year – despite more wind turbines having been installed in the interim, according to new figures. An unusually prolonged period of high pressure is to blame for the drought, says Grahame Madge, a spokesman for the UK Met Office. The jet stream has remained further north, meaning an area of dense, high pressure air over the UK hasn’t budged. Ireland is facing similar problems with a lack of wind while falling water levels in rivers have also curtailed hydroelectric power generation in July. Climate change might mean that less wind is available for energy production in general during the coming decades. One projection, published in Nature Geoscience in December, suggested that wind power would decrease in the northern hemisphere but increase in the southern hemisphere. This might mean a loss of as much as 18 per cent of wind over the central US by the year 2100, according to the study. It’s essential that the UK plans for windless periods in the future, says Gross. He points out that in recent weeks Great Britain has benefited from relatively high solar energy output. Solar provided nearly 10 per cent of Britain’s electricity in the week ending 1 July, for example. According to Dr Gross of Imperial College London, the UK needs to be prepared for periods of low wind levels in the future and look to alternative methods to meet demand. The British government has invested heavily in the renewable energy sector, and has installed a host of new turbines within the last 12 months. However, overall output has dropped despite the increase in infrastructure. The ‘disappearing wind’ meant turbines generated less than two per cent of the country’s power – the lowest figure for more than two years. Britain got 15 per cent of its power from wind last year – twice as much as coal. The classification of a new era by the International Union of Geological Sciences splits the Holocene into three distinct subsections, Greenlandian, Northgrippian and Meghalayan. ***The decision appears to have ruled out the possibility of an official classification for the Anthropocene Epoch, a proposed geological era that encompassed the advent of mankind and human success in colonising the planet. ***but we should reduce our meat consumption! China will open an electricity trading market for hydropower and nuclear power generators, and accelerate the process for coal-fired power plants to join the market, the country’s state planner said in a statement on Wednesday. The National Development and Reform Commission (NDRC) also urged local authorities and grid companies to remove barriers on cross-regional power trading and encouraged all types of power generators that can meet energy consumption and emission standards, including captive power plants at industrial plants, to participate in the trading market. High value industries such as high-tech, internet and big data companies will also be encouraged to join the power market without voltage and usage restrictions, the statement said. Here are my two cents. The “27 day period” is the length of the tropical mean month (currently 27.23158 days). This is the time between lunar crossings of the Earth’s equator. It is close but not the same as the mean lunar sidereal month (27.32166 days). The tropical month is linked directly to the seasonal cycles which are roughly symmetric about the Earth’s Equator. Hence. I believe that they are seeing the effects of the Moon (possibly reinforced by the effects of changing terrestrial magnetic field strength driven by the 27-day roataion rate of the Sun. We should expect La Nina to kick off in November 2020. The Sun rotates differentially depending on the latitude – 26.75 days at the equator. The 27 day rate happens to be the latitude where the Sunspots occur. The old “it’s the sun” argument. Well, it is indeed the sun that warms the surface of the earth. But the science shows the warming is pretty constant, and does not change much – certainly it does not change in a way that could explain the current global warming event. The old, “it’s not the Sun argument”. Harry, over a 24 hour period at the moment here in winter, night time is about 10C° cooler than day. Now, let’s imagine what would happen if the Sun didn’t rise tomorrow? Maybe we would drop another 10C. According to the IPCCCCC, the excess CO2 in the atmosphere should provide all the energy we need. The majority of the earth’s climate scientists disagree with you. The recent increase in CO2 has been extraordinarily beneficial in greening the planet, but unfortunately it has failed to make temperatures rise as expected. A majority of modellers have failed miserably and should consider their future. There has been wild talk of the hiatus continuing until 2035, which would be a disaster for both of us. ‘The science’ is at it again! How about some science….no definite article? Back in the 1970’s, Lennox Walkers long range weather forecasts (based on sunspot activity) were regularly read on ABC radio. So through wilful ignorance and the desire of “Climate Scientists” to deceive, we know less now than we did 40 years ago! ABC Radio? Well that is all the proof you need. So you like the ABC now? In the 1970s most of the staff were rightwing North Shore types, but these days its a hive of pseudo Marxists. Why is this remarkable? Japan was mostly agrarian and boring in those days. Farmers need to keep a eye on the weather, and bored people will write about the weather for lack of anything else to write about.